Maptitude provides ways for you to use maps to analyze and understand how geography affects you and your business. Maptitude is an essential tool for all types of insurance applications including risk assessment, resource deployment, premium pricing, product marketing, and customer support and information systems. Maptitude gives you the tools, maps, and latest Census demographic data you need, plus special functions to allow you to tie in the data you use every day in your work. With Maptitude you can visualize data in new and different ways, unearth geographic patterns in your data, and convey information in a straightforward way. Map your portfolio and then determine its exposure to various risks. 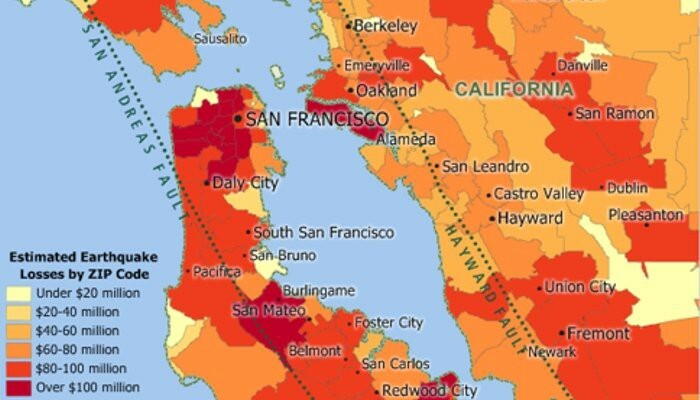 Maptitude lets you create maps using your own data. Maptitude has direct access for a number of database, geographic, and raster file formats. In addition, you can access your data via ODBC from a number of data sources such as Access, Oracle, and SQL Server. You can also join and aggregate your data to any of the nationwide geographic files included with Maptitude such as states, counties, or ZIP Codes, or to your own custom territories. Maptitude for the Web is a specialized version of Maptitude for designing and running interactive map applications and location-based services on the Internet. Create a web-based interactive information system that allows auto insurance customers to find the nearest authorized repair center, or health insurance customers to find the nearest specialist in an HMO network. Create a hazard assessment information system that allows agents to access maps of risk and pricing data. Other Maptitude functions can be harnesses for modeling, data collection, data analysis, and specialized insurance applications. For example, Maptitude includes a built-in interface for GPS devices. You can create accurate geographic files in the field with a GPS and a laptop, such as a database of fire hydrants for the most detailed fire hazard assessments, or precise measurements of fields for crop insurance underwriting. Surface analysis and 3-D mapping functions let you build contour maps that you can overlay with soil analysis data to determine mud slide risks. In all cases, Maptitude is the cost-effective solution that gives you extensive demographic and geographic data plus sophisticated spatial analysis tools so that you can convey information and analyze risk for your business advantage. The Georgia Insurance Department began using Maptitude software ... to geocode the state and identify latitude and longitude coordinates, according to Donald K. Hill, assistant commissioner and CIO for the Office of the Commissioner of Insurance. Georgia insurers are very positive about how the state is assisting them, reports Hill. "The more information they can get, the better," he says. "We were getting hour-by-hour assessments of damage and its extent from people on the ground. We also got photographs which we can display on Maptitude." FIGURE 1: Map risk exposure and assess insurance risk with GIS insurance mapping software: Aggregate earthquake cost by ZIP Code. FIGURE 2: Find policy holders and display information about them on a map; even find a route for a claims adjuster to visit a set of them. FIGURE 3: See which parcels are required to purchase mandatory flood insurance. 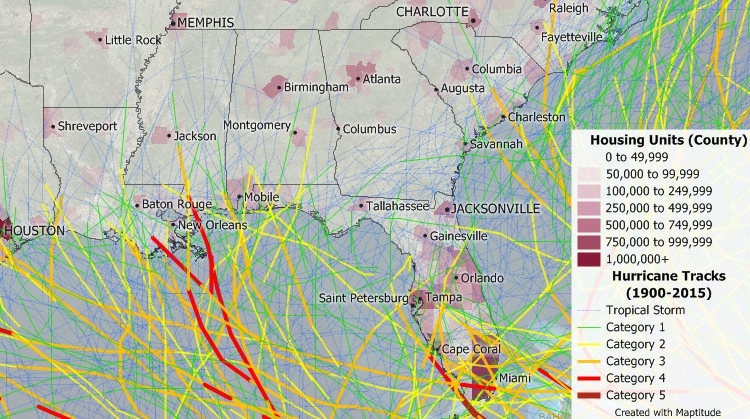 FIGURE 4: Analyze areas most at risk of hurricanes. 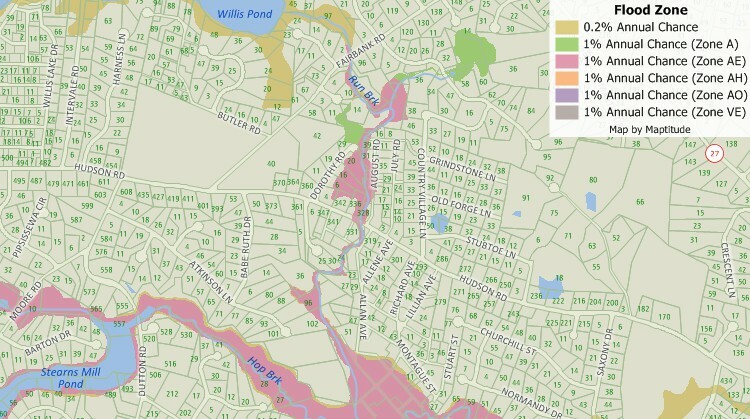 FIGURE 5: Site analysis can be performed with the included Census data. 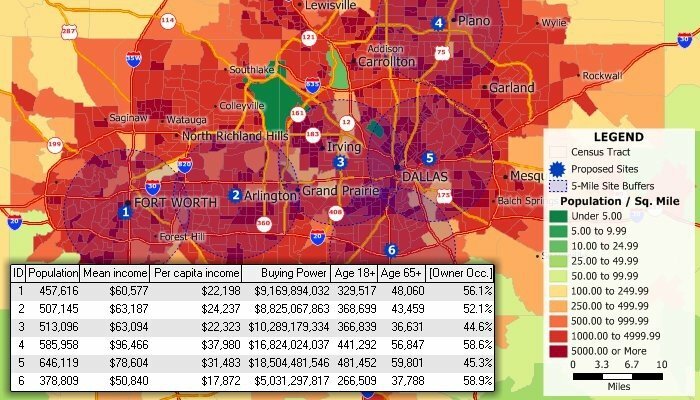 This map and table show the demographics of the population within five miles of several locations.